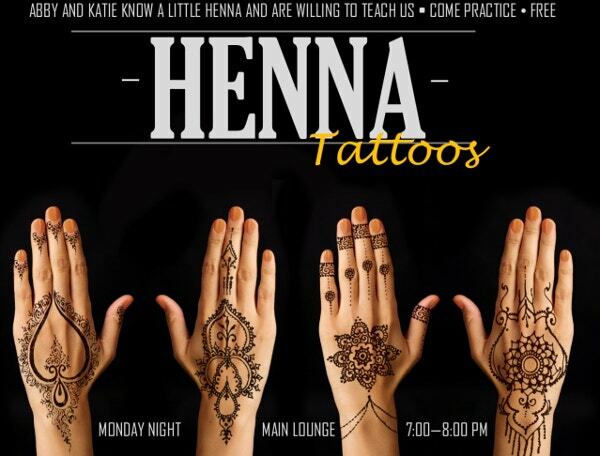 Tattoo flyers provide a special way of advertising different events to your target audience. To efficiently publicize your event, you should use an affordable means of advertisement. 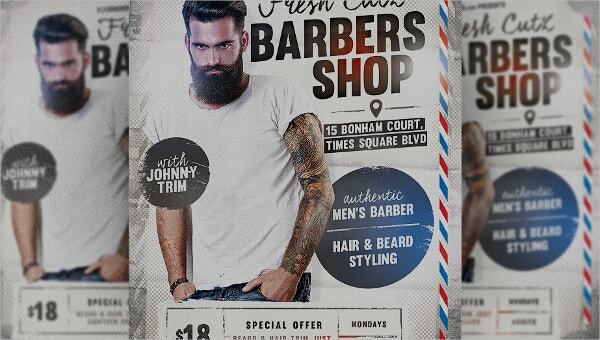 Tattoo flyer templates are cheap and easily customizable. They often come in A4 or A5 sizes that are ready for print. You can either download or purchase them. What is more, you can use custom codes or URLs to track the effectiveness of your flyer campaign. You can also see Church Flyers. 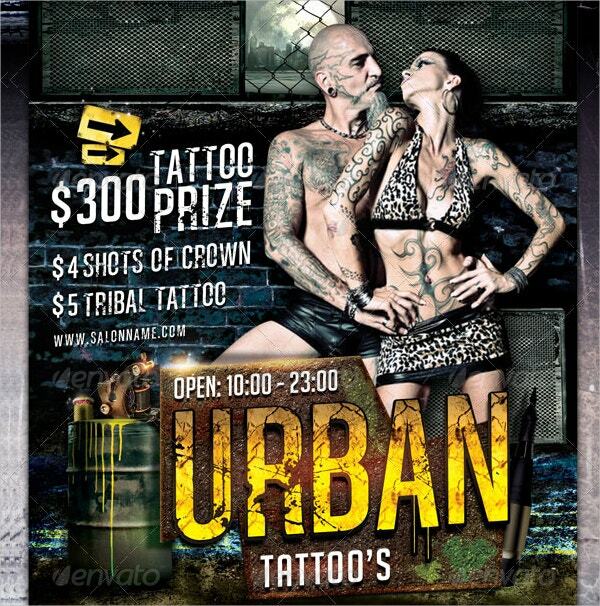 The urban tattoo flyer template that is ready for print is beautifully organized and layered. It contains editable texts that are customizable with free fonts. It is ideal for advertisement. 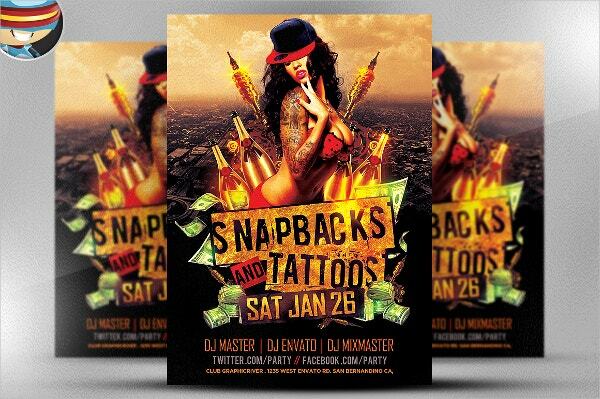 There is no sexier flyer template design than snapbacks and tattoos flyer. It is perfect for music events in urban centers. Although it is available for download, you can edit its features. 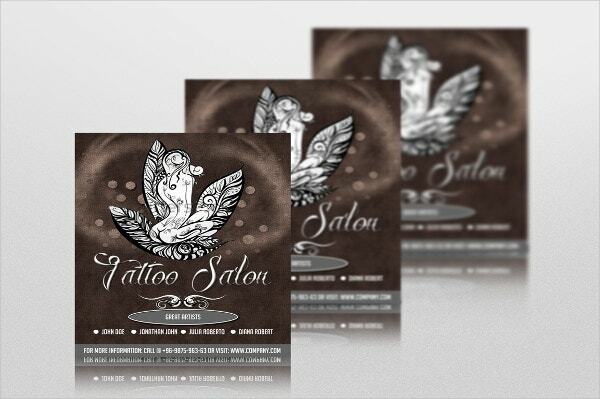 This professionally designed Tattoo Salon Flyer allows you to freely edit its images, color, and fonts. It is classic and ready for print. It also features a resolution of 300 dpi on CMYK color mode. You can also see Pizza Flyers. This single PSD flyer is set for printing. It is designed on A4 with bleed. You will love the neatly organized layers and free fonts. Then, you can customize it for your events. 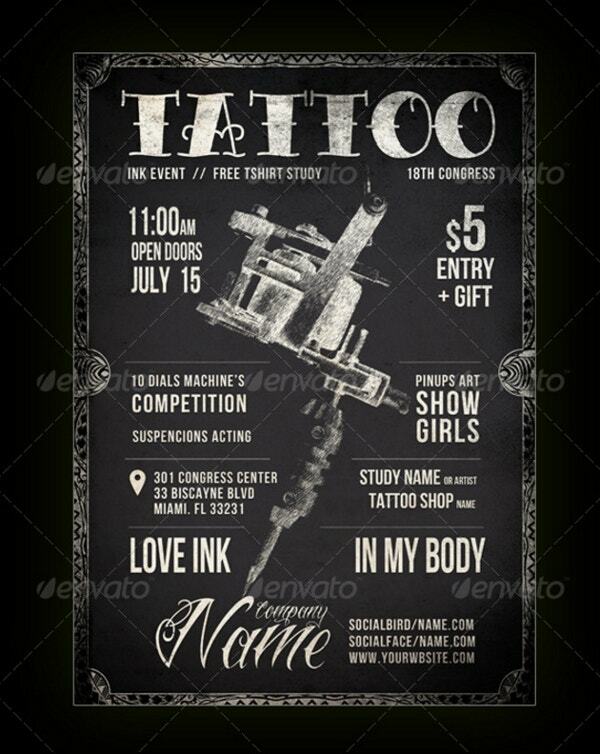 The blackboard tattoo flyer is available for purchase after which anyone can use it either for gaming or special events. It is fully layered, customizable and you can edit its text. 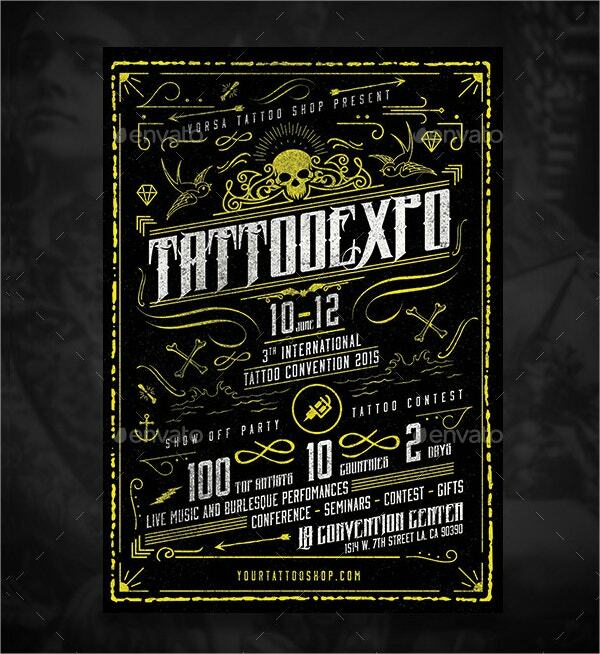 Tattoo and Art festival flyer, designed with Big Noodle Tilting, features a single PSD file with well-grouped, organized, and tagged layers. This CMYK/ 300dpi colored template is 8×12-inch with a 0.25 bleed. You can also see School Flyers. 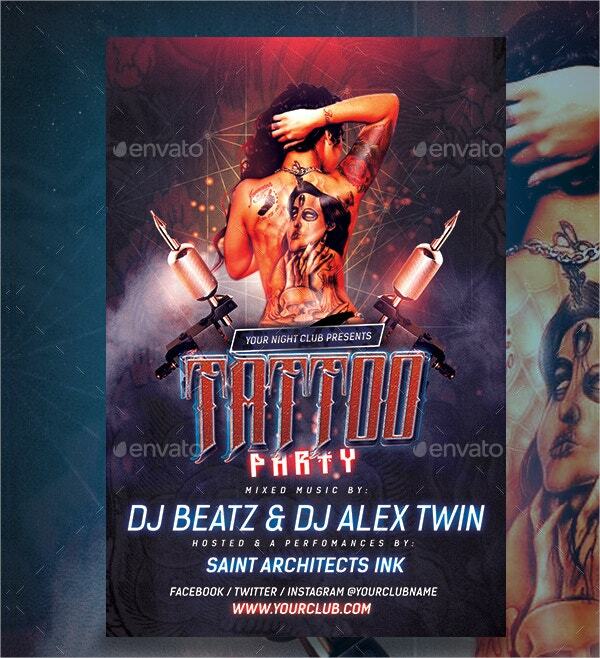 The tattoo party flyer template contains free effects and objects. It comes with single PSD file, 4×6-inch with bleed and 300 dpi, color. You can easily customize it for any party. 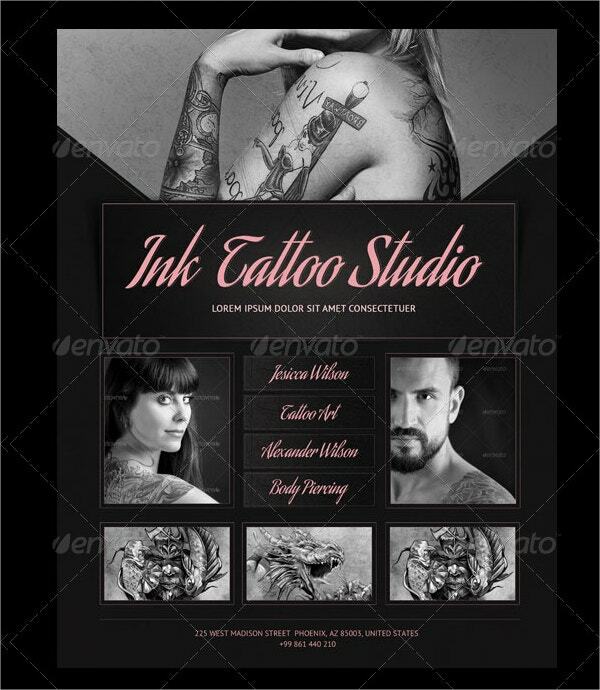 This 8.5×11-inch ink tattoo studio flyer features 3 different PSD files, CMYK/ 300 dpi color, and 0.25bleed. These files are organized with respect to layers and groups. Furthermore, they are easily customizable. 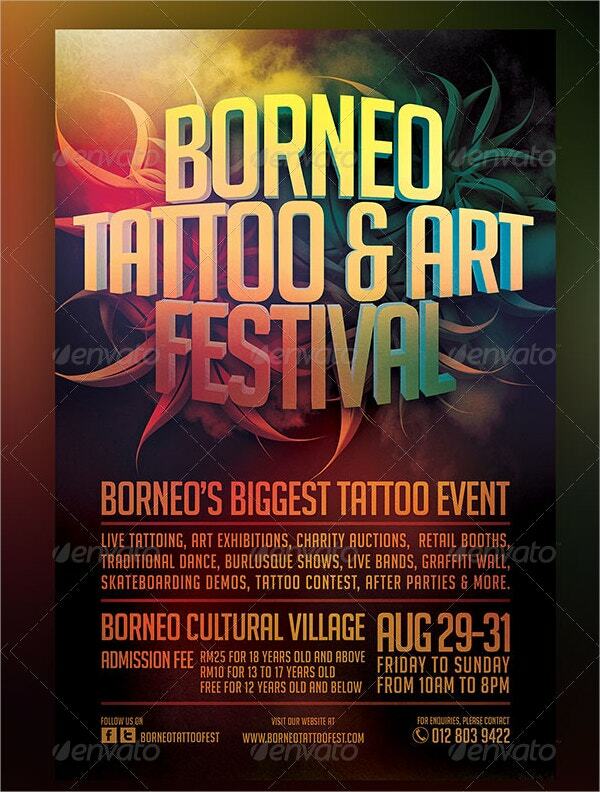 This 8×12-inch tattoo and art festival flyer template is easily customizable. You need at least CS4 Adobe version to sue it. It is layered and contains Photoshop PSD. 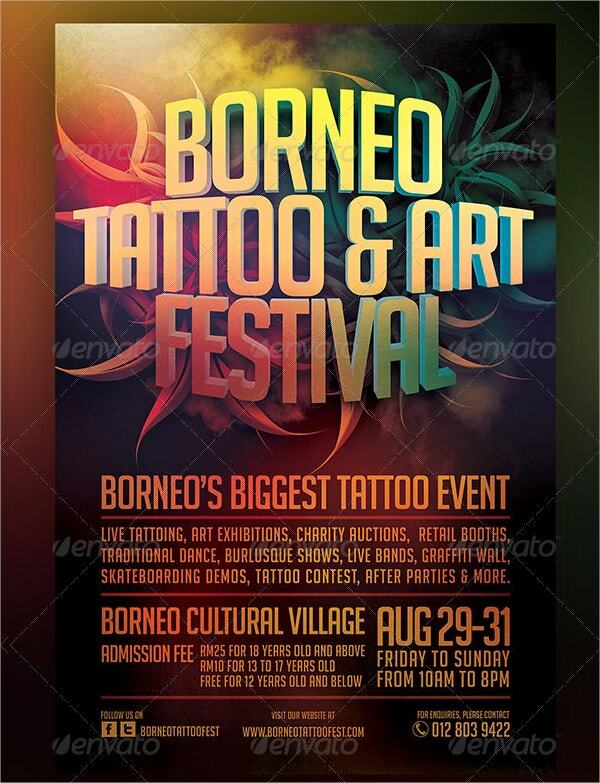 Finally, when planning for any event, you should try to use tattoo flyers. 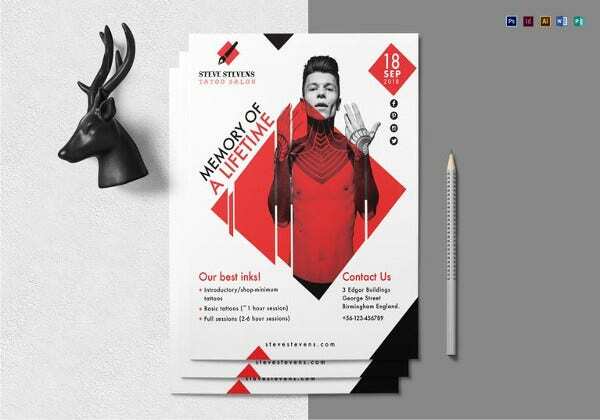 Unlike ordinary flyers, party flyer templates come in diverse designs. You can freely customize them for specific events. They are efficient for a digital market and direct mailing. To enhance their utility, you can add a professional touch to them. You can also see Spa Flyers.